Comment: Repainting of a two bedroom, one bath, kitchen, and laundry room apartment to include ceilings, closets, and trim. Comment: I have a couple of metal awnings that I want stripped. Not sure if they're sheet metal or aluminum. Can be removed from house if necessary. Comment: Just want to repaint small bathrooms. If happy with outcome, will paint additional rooms. Norfolk Painting Contractors are rated 4.75 out of 5 based on 519 reviews of 41 pros. 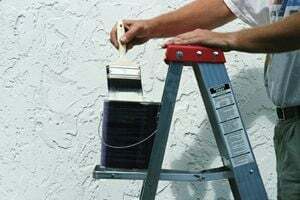 Not Looking for Painting Contractors in Norfolk, VA?